You pick which night your team will play! willing to take on the challenge with the 4 foot ball! The 37th Annual USAV Girls Junior National Tournament will take place in Minneapolis, MN this year, and several Midwest Penguin Teams plan to participate. The Midwest Penguins 131s, and 141s will compete in the USAV Nationals Division; 15Elite and 161s will compete in the American Division; 171s will compete in the Patriot Division and the Midwest Penguins 151s team is expected to receive a reallocation bid to compete as well. "We're so proud of the way all our teams competed this year," said Anne Slattery, club co-director. "For some of our teams the season has come to an end, but we're looking forward to a few more weekends of great volleyball and cheering on our National Teams as they compete." Teams headed to Nationals will host several fundraising events over the next few weeks including the Fifth Annual Big Ball Bash happening Friday, May 5 and Friday, May 12 at Center Court Sports Complex. More than 40 teams each night have accepted the challenge to take on the 4-foot-ball, Slattery said. "We're looking forward to another fun, and exciting event for a great cause," she added. Midwest Penguins Volleyball Club, in partnership with E.C.H.O.- Empowering Change Through Healthy Opportunities, a nonprofit organization that provides individuals and families with educational programs and recreational activities to promote health and fitness will host the two night event. The event will raise money for E.C.H.O, and Midwest Penguins teams headed to nationals. Teams will compete in a cross-over volleyball tournament during the event using a massive 4-foot inflatable volleyball. Volunteers, including Midwest Penguin National Team Athletes, and sponsors help make the event possible. Center Court will provide food and drink specials for the evening, and Penguin teams have generously donated baskets for a drawing valuing between $100 and $150. A silent auction will also take place. T-shirt sponsors for this year's event include: Bay Marketforce; Bender Levi, Larson & Associates, SC; Center Court Banquet Hall; Chucks Auto; Mulligan; Culver's; Devine Consign; FEI; Great Lakes Rubber; Grandma Mueller; Grow Hope at Saint A; Halquist Stone; Hartland Service Automotive Repair Center; Interstate Batteries; Milwaukee Office Products; One Touch Point; Riedel Sports; Rocky Rococo; Saint Thomas Moore; Sobelman's and Westbury Bank. "A huge thank you goes out to our volunteers, our sponsors and our title sponsor E.C.H.O., this event would not be possible without their assistance, and we couldn't be more grateful," said Slattery. Everyone is invited to attend the event and partake in the festivities even if they didn't register a team, participate in the silent auction, and the raffle and enjoy the tournament entertainment. Thank You 2017 Big Ball Bash Participants! Thank you to everyone who competed and participated in the Fifth Annual Big Ball Bash! You helped make the event a great success, and we cannot thank you enough for supporting E.C.H.O and Midwest Penguins USAV National teams! Midwest Penguins Volleyball Club, in partnership with E.C.H.O., will host the fourth annual Big Ball Bash at Center Court Sports Complex in Waukesha. The two-night event will raise money for Penguins Teams headed to USAV Nationals, as well as E.C.H.O., or Empowering Change Through Healthy Opportunities, a nonprofit organization that provides individuals and families with educational programs and recreational activities to promote health and fitness. Teams of adults 18 and older are encouraged to sign up, and select which day they’d like to play. More than 75 teams have registered in previous years, so teams are encouraged to sign up early. “It’s fun, and entertaining, and actually quite the challenge taking on the four-foot ball,” said Slattery. “Join us for a family friendly evening of fun and activity. Sign up a team or just come to watch, it’s a fantastic event, and we promise you’ll have a good time,” said Slattery. Teams must register before the end of the day on Friday, April 14 to participate. Huge thank you to everyone who participated in this year's 4th Annual Big Ball Bash on 5/6 and 5/13 2016 at Center Court Sports Complex in Waukesha. The event was a huge success. Thank you also to all of our court, t-shirt and silent auction sponsors, our volunteers, our team coaches, athletes and our parents. We couldn't have done this with out you. Visit our Facebook Page to view some pictures from the event, and stay tuned to the website for a fundraising update and video coming soon! Midwest Penguins Volleyball Club, in partnership with E.C.H.O., recently hosted the third annual Big Ball Bash at Center Court Sports Complex in Waukesha. The event raised money for E.C.H.O., and Penguins Teams headed to Nationals. "It was an outstanding event," said Anne Slattery, club director of Penguins and co-founder of E.C.H.O., "It was so great to see so many people out for the weekend- supporting a great cause." Empowering Change through Healthy Opportunities, (ECHO) is a not-for-profit organization that provides individuals and families with educational programs and recreational activities to promote greater health and fitness. Additionally, a portion of the proceeds will go towards helping Midwest Penguins teams traveling to the Junior National Tournament this summer. Nearly 300 people formed 52 teams and participated over the two-day event. Teams competed in a cross-over type volleyball tournament each night of the event. Instead of a traditional volleyball, teams competed using a giant four-foot volleyball for the matches. More than 60 volunteers and 19 sponsors helped make the event possible, Slattery said. "We want to personally thank everyone who came and participated," Slattery said. "The event could not be successful without our participants, our sponsors and our volunteers. Sponsors for this year’s event included: OneTouchPoint-CCI, Center Court Sports Complex, Culvers- Waukesha, E.C.H.O., Frett Barrington, Midwest Penguins Volleyball, Riedel Sports, WI Coach Lines/Coach USA, Roman Electric Co., Responsory, Orthopaedic Associates of Wisconsin, First Weber Realtors, Northview Banquet Hall and Catering, Orthopedic Institute of Wisconsin, Complete Office of Wisconsin, and Grandma Mueller. The two-day event raised approximately $9,500. Proceeds benefited E.C.H.O., and the Penguin teams competing at Nationals. These teams include: Penguins 131, 141, 151s who earned National Bids, 161s who earned the Patriot Bid and 171s who earned an American Bid. The 36th Annual USAV Girls Junior National Tournament will take place in New Orleans, La., June 23 through July 2. Center Court provided food and drink specials for the evening, and Penguin teams generously donated baskets for a drawing valuing between $100 and $150. A silent auction also took place. Check out the THANK YOU slide show created for participants and sponsors at the event by clicking on the video below. The Midwest Penguins 15Black Team was recently highlighted in PrepDig - the source for Wisconsin High School volleyball news. "The Midwest Penguins 15-Black team is bursting with talent," said reporter Rachel Kass. "From defense to right side hitting, the team connects on all levels." Kass, a former player and also a current member of the MWP Family recently joined the staff at Prep Dig and has been writing for the online website for the past few months. Kass goes on to talk about the wins 15Black has accomplished this year. "They have pulled in some major wins this season including, most recently, winning their Pre-Nationals Tournament at the Great Lakes Center in the 15 Premier division." A subscription is required to read the entire piece, but the story is available here. Several Midwest Penguins teams have earned and accepted bids to the 2018 Girls Junior National Volleyball Championships. This year's event will be held at the Cobo Center in Detroit Michigan. Congratulations to our athletes, coaches and parents for a job well done! Dates and times for the annual GJNC age divisions is below. 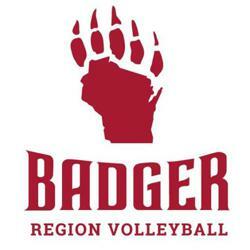 Midwest Penguins National teams, as well as other teams from around the Badger Region were highlighted in the Badger Beacon, the monthly newsletter of Badger Region Volleyball Association. The July issue of the newsletter outlined the divisions and final rankings of the 33 teams from the Badger Region that competed. The 39th USA Volleyball Championship took place at the Cobo Center in Detroit from June 25 through July 4. ©2019 Midwest Penguins Volleyball / SportsEngine. All Rights Reserved.